2 Lots, 2 APN #'s. ADDRESSES: 16461, 16457, 16459 24th Street. Rare opportunity for an owner or investor's dream. Just steps to the sand. Address 16461 24th St., is a SFR on it's own lot. Just next door is addresses 16457 & 16459; a Duplex on it's own lot. First house 3br, 2/lofts, 3 Bath-- 1 Bathroom attaced to each bedroom with attached 2 car garage. This home features: stain glass, hand carved antique wood burning fireplace and a second fireplace in the master bedroom, real wood floors, open beams vaulted ceilings, 2 lofts; one with a ladder in the front room and the other loft has a staircase to an amazing open beam room. Built-ins in the entry way, and much more. Truly a beach bungalow. The second home is a duplex on its own lot; Each unit has a wonderful private courtyard. The kitchens are spacious and beautiful, the bathrooms are spacious and very comfortable. Each living room has a wood/gas fireplace. The duplex has a new roof with warranty and the home has a newer roof in great shape. 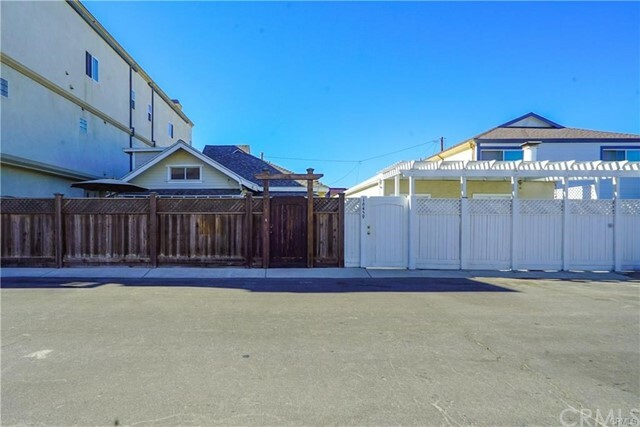 Buyer to verify square footage of lot and residences prior to close of escrow.